I’m am thrilled to announce that we are going in the studio starting early May. 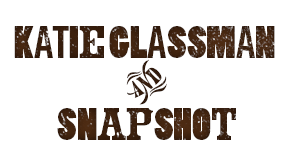 The Snapshot Project – Eric Moon, Greg Schochet and Charlie Mertens – has caught the Western swing train. We’ve been singing 3 part harmonies and writing new tunes. Getting Charlie singing is pretty monumental! Eric has been writing new tunes and Greg is a very,very welcomed addition to the group! We will be playing a wonderful show at Dazzle on May 5th at 6:00 and 8:00, the day before our first studio date. So, come by and get a preview of what we’ve been up to! Go to www.dazzlejazz.com and buy your tickets in advance. On a teaching note, I’m getting ready to teach at the Julian Family Fiddle camp starting tomorrow. In L.A. at the moment, soaking up the sun and enjoying the perfect breeze. I’m looking forward to meeting new fiddlers and of course the pickin’! All of my fiddle students have been working very hard preparing for their show on April 19th at the Denver Puppet Theater. They’re performing a plethora of genres… Texas style, the Beatles, Tim O’brien, Bob Wills and more greatness. Kids from 4 -18 are putting on the show and they are truly wonderful! This is FREE and will certainly be a treat! The Elvis Tribute show was a huge success at Lannie’s Clocktower. Below are some videos takin at the show. ENJOY!